Years before his prolific career as a novelist, Charles Dickens worked as a court reporter. After studying Gurney shorthand, he became a freelance reporter at Doctor Commons courts in London in 1829. He reported the first of the Reform Bill debates, and because of his impressive work, he later secured the position as shorthand reporter of Parliamentary proceedings at the age of 19. Dickens’ initiation into the working world was a difficult one. His father, John Dickens, fell deeply into debt when Charles was only 12 years old, and young Charles was forced to quit school and go to work in a shoe polish factory. His parents and siblings were sent to live in a debtors’ prison while Charles worked the daily grind of pasting labels onto pots of black shoe polish. Humiliated by this experience and malnourished, Charles left the shoe polish factory, known then as a blacking factory, three years later when his father was released from prison. He was able to return to school for a short while until his family once again experienced financial troubles. In 1827, Charles’ mother met a young lawyer, Edward Blackmore, who was a junior partner in the firm Ellis and Blackmore. Edward Blackmore agreed to hire Dickens, now 15 years old, as a law clerk. Charles worked for a year and a half with Ellis and Blackmore, then moved to the law firm of Charles Malloy. 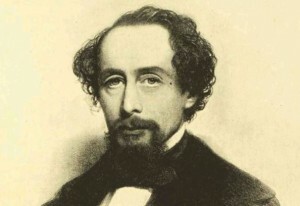 His stay was only a few months, however, for Dickens viewed the legal world as tedious and dull. Charles’ uncle, who was founder and editor of the newspaper, The Mirror of Parliament, was a successful journalist and taught his nephew the method of Gurney shorthand. Charles learned quickly and soon began his career as a freelance court stenographer and later reported the proceedings of Parliament. He became known as a very dedicated and diligent worker, and one of the most skilled reporters for the London press. Dickens was asked to take special assignments for a few years all over England to report on important elections and transcribe lengthy speeches. In 1834, Dickens secured a position with the Morning Chronicle and began to publish articles consisting of theater reviews and general news reporting when Parliament was not in session. He submitted sketches of the early life of London which were also published and quickly grew popular. These sketches became the substance of his first novel, the Pickwick Papers. His later novels include classics such as Oliver Twist, Nicholas Nickelby, A Christmas Carol, David Copperfield, and A Tale of Two Cities. Working as a court reporter enabled Charles Dickens to observe personalities and speech, and it gave him the opportunity to travel and learn about the social conditions of England. These experiences undoubtedly influenced his writings and contributed to his enormous success as one of the most popular writers of the 19th century. Sarah E. Vestrat is the author of Student Guide to Success in Court Reporting School. She lives in Broken Arrow, Oklahoma, and can be contacted at sarahvestrat@hotmail.com. ©Copyright NCRA 2011. This article originally appeared in the January, 2011, issue of the Journal of Court Reporting, the NCRA’s magazine.